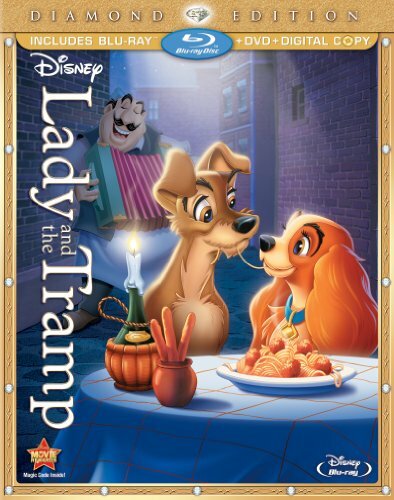 Fall in love with Walt Disney's Beloved Classic, Lady and the Tramp! Experience the thrilling adventures of Lady, a lovingly pampered cocker spaniel, and Tramp, a freewheeling mutt with a heart of gold. This heartwarming tale now charms a new generation of families and fans with its exquisite animation, unforgettable songs and one of the greatest love stories of all time. This is the night to share a special bella notte with your family and introduce to them to the film Janet Maslin of the New York Times News Service hails as "one of Disney’s most enduring classics!" If you have any questions about this product by Walt Disney Studios 1011189, contact us by completing and submitting the form below. If you are looking for a specif part number, please include it with your message.